Hi everyone! 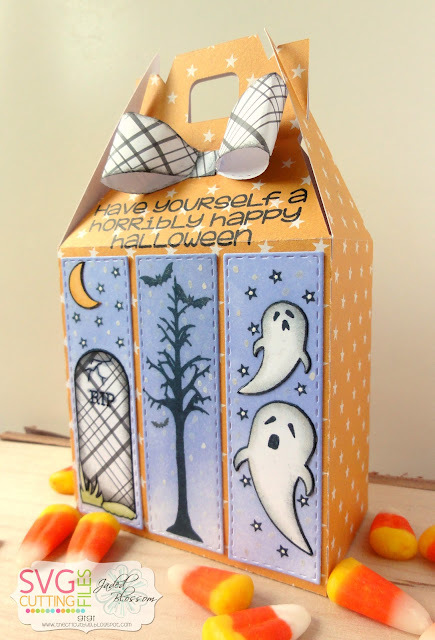 This is GiGi from The Cricut Bug and I am sharing this gable box I made using the monthly spotlight stamp set, Halloween Panels. 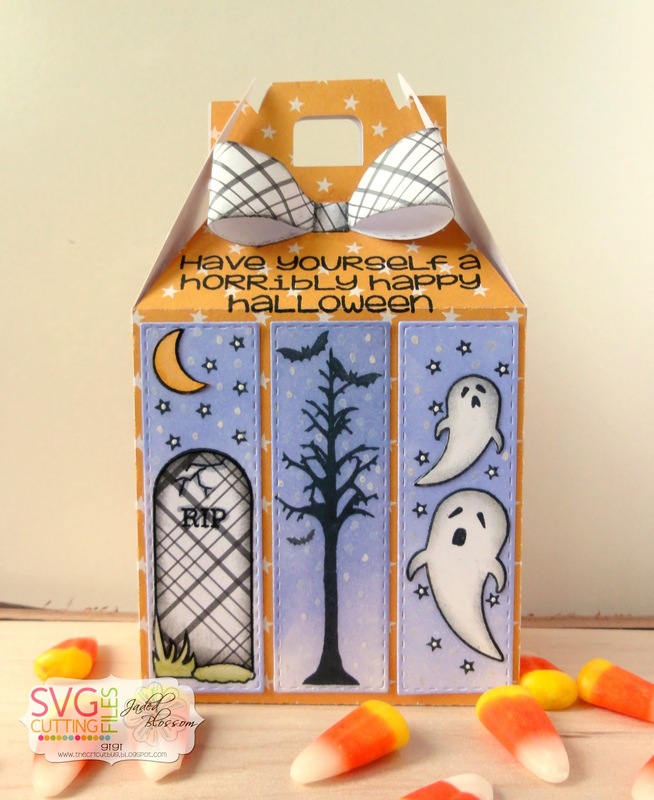 I started this project with the SVG Cutting Files Elongated Gable Box and altered it to fit 3 Panel Dies on the front. I stamped the Panel Dies using the Halloween Panels stamp set and paper pieced the ghosts, moon and gravestone. I used a white gel pen to add the dots to the centers of the stars and then used a Wink Of Stella glitter pen for the background dots. 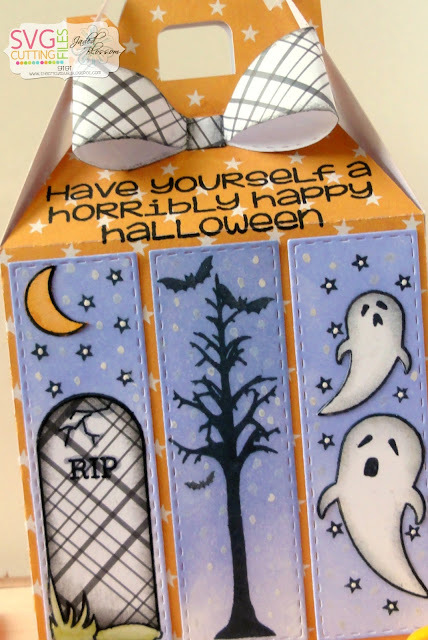 I stamped the sentiment onto the top of the bag using the Halloween Treats 2 stamp set and topped it off with a bow cut from the Bow Dies. Don't forget that you can get the Halloween Panels stamp set at a great price this month! This is so cute....Amazing job!!! Sooo cute!!! Love the sentiment too!! !